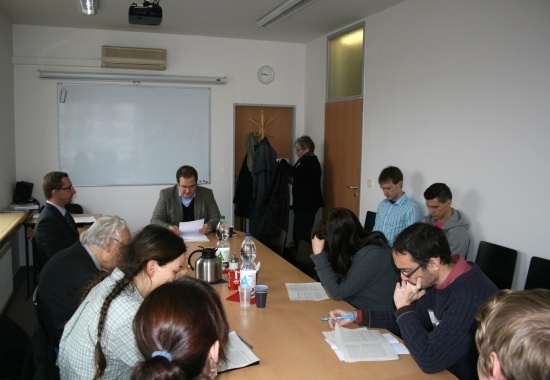 and ten postgraduate (PhD) study programs in Czech. Application deadline for PhD Study Programs is April 30, 2019. Exceptions: Different exam date is applicable only for serious reasons (illness of an applicant). A medical report for a different exam date should be sent no later than 5 days after the regular exam date. Deadline for applicants to submit a notarized copy of their master graduation certificate is September 30, 2019. Applicants who won't get a recognition of their foreign diploma till the end of September, are allowed to submit a copy of a high school diploma along with a copy of a recognition of foreign education no later than October 21, 2019. Applicants with a disability, such as a specific learning difficulty, can request that the admission process be specially adapted to meet their needs. In this case a medical report must be included in the application form. Applicants are required to prove their identity with an ID/passport to take the exam. The admission requirements are stated in the respective program links above. Contact person: Ing. Jana Jeníčková, Ph.D.